Sand, Wind and Stars - LRDG, 70 years on: Paying attention at the back. Paying attention at the back. Greetings from Cairo! 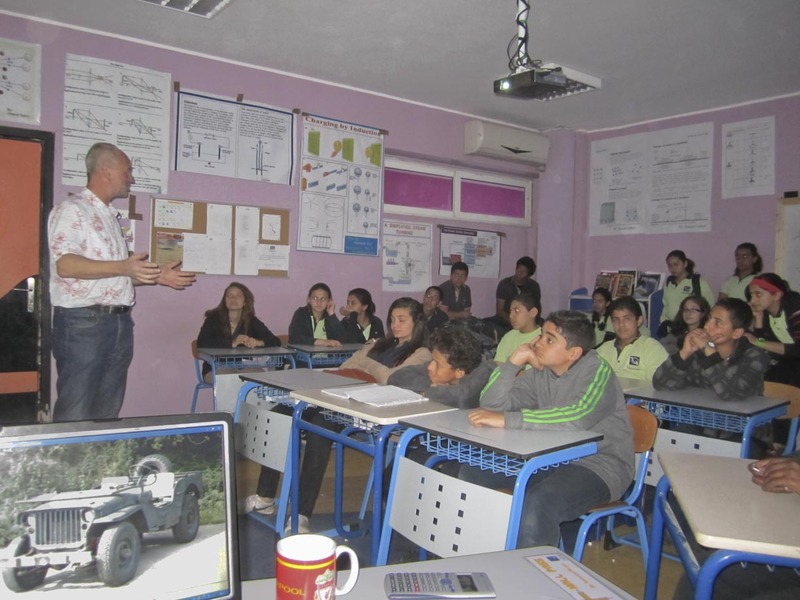 We were privileged today to deliver a talk on our LRDG Expedition to Year 7, 8, 9 and 11 Students at Futures International American School in the Maadi Region of Cairo. My friend and our guide, Mahmoud Marai sorted this out as it is where he teaches. I sat in on his Chemistry lesson which was very orderly, but with debate and questioning encouraged. When the lesson finished the attentive students listened to me ramble on about the war time history of their country and Jeeps, whilst Mahmoud forwarded the pictures on his laptop. 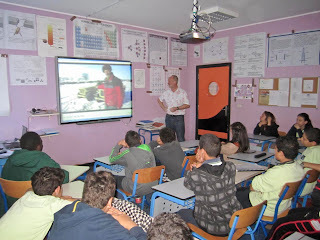 The talk was well received, with many students coming up afterwards, shaking my hand and thanking me for the talk. All of them spoke perfect English and were polite and interested. If the rest of our time here is as enjoyable and rewarding we shall all have a great time. Labels: Cairo., Futures International American School, LRDG. Well done Toby - in your element! Affer - I shall purchase a pair of white gloves today! Wishing you and the whole team a superb trip and thanks for blogging - very generous and kind of you. Great stuff; well done Tobe and team. Look forward to next installments and wishing all of you a safe and extraordinary adventure.